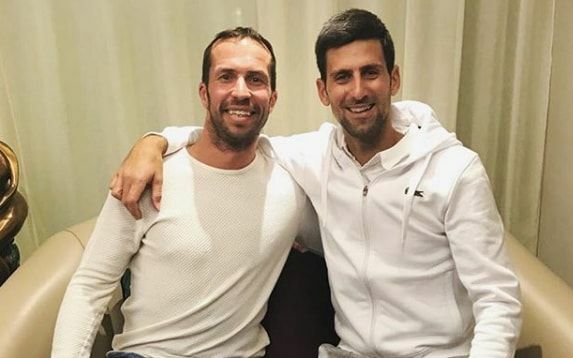 Recently-retired Radek Stepanek is joining Andre Agassi to coach Novak Djokovic for the 2018 season. Djokovic hired Agassi in May to work with him at the grand slams but has been without a touring coach since splitting from long-time mentor Marian Vajda the same month. 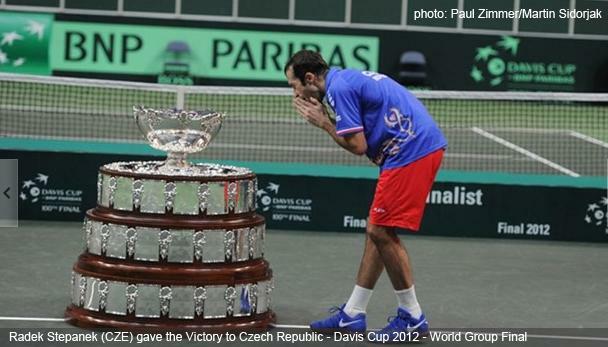 Czech Stepanek, 39, called time on his playing career in November after struggling to recover following back surgery. He reached a career high of number eight in the world in singles in 2006 and won two grand slam doubles titles and two Davis Cups. Radek Stepanek announced his retirement from tennis after failing to recover his fitness following back surgery earlier this year. The 38-year-old Stepanek won five ATP singles titles and reached the Wimbledon quarter-finals in 2006 when he reached a career-high eighth in the world rankings. Stretched wide, Radek Stepanek keeps himself in the point before letting a forehand pass rip to bring up break point against Novak Djokovic at the Rogers Cup. Juan Martin del Potro beat Radek Stepanek 6-4 6-4 6-2 while Tomas Berdych edge Monaco 6-1, 4-6, 1-6, 6-4, 6-4 to tie the Davis Cup semifinal between Argentina and the Czech Republic. Del Potro, told by doctors not to play because of an inflamed left wrist, broke down crying as he addressed fans chanting ''Ole! Ole! Ole!'' at the Parque Roca. "In truth, it wasn't easy to play," Del Potro said. "You can see how I suffered playing. I did it for all of you. Playing here means so much for you, for the country, for Argentine tennis - for everyone and me too. I want to thank you for the love and support you have always shown me." "There is always some pain," Del Potro told the crowd. "We all have some pain - some more than others. The important thing is to try to play and do your best." Del Porto said Thursday he would not have played were this an ordinary tournament. Novak Djokovic defeated Bernard Tomic 6-2, 6-3 in the second round at the Rogers Cup in Toronto, where he is the defending champion. Djokovic saved six break point in the opening set, and stepped up his level in the second, dropping just three points behind his serve. “For the first match it was a decent performance,” said Djokovic. “Obviously at the start we played very long opening four games, and I was struggling to find the rhythm… It’s totally different conditions, time zone, ball bounce, everything. Djokovic next plays Sam Querrey. 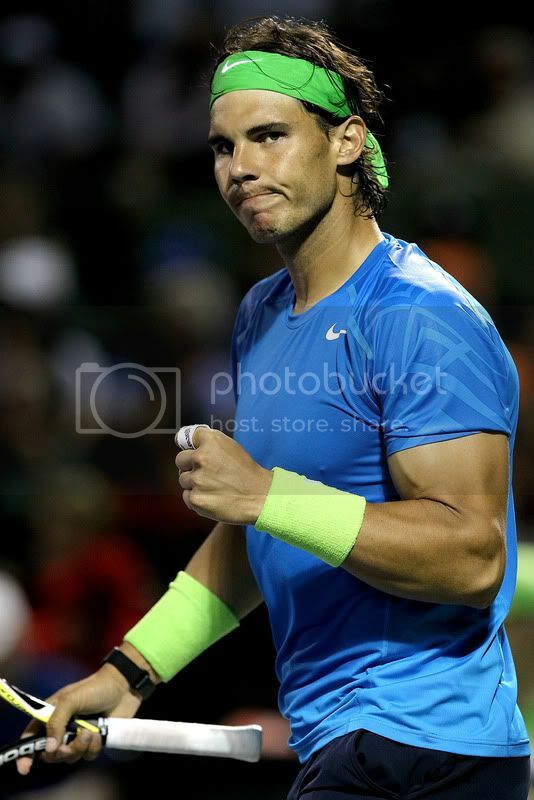 Rafael Nadal easily beat Radek Stepanek 6-2, 6-2 to reach the fourth round of the Sony Ericsson Open, where he will play Kei Nishikori. 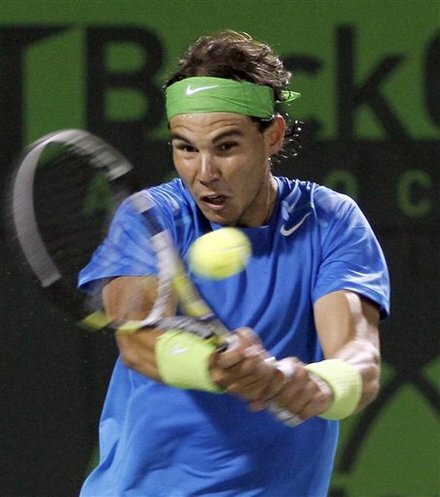 The former world number 1 faced only two break points, which he saved, and broke Stepanek twice in each set to win. Radek Stepanek will play mixed doubles with Petra Kvitova at the London Olympics 2012 games. Kvitova, who also considered Tomas Berdych as a partner, announced her plan on Friday. Stepanek won his maiden Grand Slam title at the Australian Open when he and Leander Paes of India won the doubles final. Berdych has already announced he will play the doubles with Stepanek at the London Games. Radek Stepanek will play Andreas Seppi in the opening singles match when the Czech Republic faces Italy in the first round of the Davis Cup. Tomas Berdych will face Simone Bolelli, who replaced Potito Starace, in the second singles match on an indoor hard court at CEZ Arena. In Saturday’s doubles, Czech pair Frantisek Cermak and Lukas Rosol are set to play Daniele Braccialli and Potito Starace. Alexandr Dolgopolov set up a semifinal meeting with Gilles Simon after beating Radek Stepanek 4-6, 6-3, 6-3 at the 2012 Brisbane International. The Ukranian won 59 per cent of his second serve return points, breaking Stepanek five times. He wrapped up the two hour and 16 minute victory on his second match point against the Czech’s serve. Simon defeated Santiago Giraldo 7-6(2), 6-4. He broken twice, but converted three of his eight break points to claim victory in one hour and 48 minutes. Gilles Simon, Alexandr Dolgopolov, Radek Stepanek and Bernad Tomic were all winners today at the 2012 Brisbane International tennis event in Australia. Simon defeated James Duckworth 6-3, 7-5 to reach the quarter-finals after 90 minutes of play. He fired 11 aces and converted three of his eight break point chances. "I think I played a good match," said Simon. "He has a strange game, strange serve; his serve is not easy to read and he would rush to the net. So it was surprising. I thought I was better than him from the baseline, so I really wanted to engage him every time. He would do something very good, and then something very bad right after. I never knew what to do exactly, so that was why the match was complicated." Andy Roddick beat Radek Stepanek 2-6, 6-3, 6-3 to advance to the quarterfinals in Basel. Roddick capitalised on four of his five break points and will next play against Roger Federer, whom he last played in the semi-finals of this tournament in 2010. The 30-year-o. "I was frustrated that I didn’t get more first serves in court [in the first set], but regardless of how badly you play in set one, it’s still only one set and I just tried to remind himself of that and luckily I played better in the last two," said Roddick, reflecting on his second-round win. "I thought he had a pretty good serving day, so to be able to break four times was good for me. Obviously it’s a tall order [against Federer], but I’ll go out there and give it a go and hopefully come out on top." Mardy Fish beat Ryan Harrison 6-4, 3-6, 7-5 in the first round at the Japan Open. Fish relied on his serve-and-volley game to outlast Harrison, who displayed a blistering forehand throughout the match. At 5-5 in the decider, Fish broke his opponent and then served out the match. Juan Monaco advanced to the third round of the U.S. Open when Radek Stepanek retired in the third set with Monaco leading 6-4, 6-1, 2-0. Stepanek said his right, serving shoulder had been bothering him for a few weeks. The Czech player started feeling a sharp pain in the first set Thursday that kept getting worse. Monaco had never won a set against Stepanek in their previous three meetings. Monaco reached the round of 16 at the U.S. Open in 2007, matching his best Grand Slam result. Novak Djokovic beat Radek Stepanek 6-3, 6-3to claim a place in the Western & Southern Open quarter-finals where he will play against Gael Monfisl, a 62 62 winner over Philipp Kohlschreiber. Djokovic won the final three games, breaking Stepanek for a sixth time on his first match point opportunity, after twice failing to hold onto a break advantage earlier in the second set. "There are periods of the match where I serve okay and then periods where I serve very bad, but that's okay," said Djokovic. "It all happens. I played so many matches, and they caught up to me a little bit. It's expected that some part of my game is not working 100 per cent. "But I believe that tomorrow the serve will be better. It's important to have the right mindset and positive attitude. I don't think that my rhythm is bad, it's just a little bit my toss and I'm out of balance on my serve and I'm forcing it a little bit too much. Maybe I should go a little bit for percentage rather than speed." Watch highlights of the Legg Mason Tennis Classic final, featuring Czech Radek Stepanek against top-seeded Frenchman Gael Monfils on Sunday in Washington, D.C.